Hide deals from seller "Doggie Playhouse"
Hide deals from category "Pet Stores"
Limit 1 per person. Valid toward services. By appointment only. Full value of Gift Certificate must be redeemed in 1 visit. 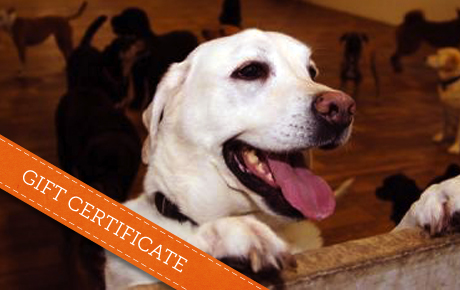 Pamper your 4-legged friend with 50% off a $50 Gift Certificate to Doggie Playhouse in Palatine. This unique pet resort and day spa offers an array of services to keep Fido happy and healthy. Business in Palatine offering dog grooming, boarding, day care and more.